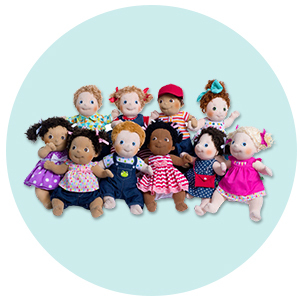 Founded by a mother in 1954 and now run by her son French company Djeco make the most beautiful, high quality, timeless toys, games, jigsaw puzzles, art and craft kits and decorations. From baby toys to kites and umbrellas, kids and adults alike will be delighted by the bold colours and beautiful illustrations created by the team's artists and illustrators. 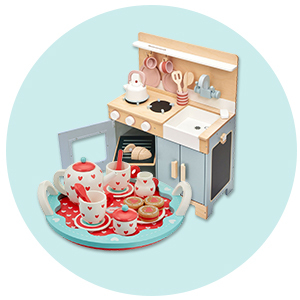 We stock a huge range here at Baba me including the sturdy cardboard pop to play range, the ever popular arty toys, gorgeous kitchen toys perfect for role play and loads of great educational games. Complete freedom of imagination and creativity are important to Djeco, these toys wooden and otherwise, have been designed to awaken your child's sense of wonder, enrich their imagination and start them on a journey of discovery through play. 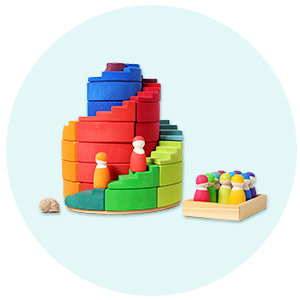 This is an amazing French toy brand which specialises in quality wooden toys, wooden puzzles, family games, art and craft sets, and educational games. 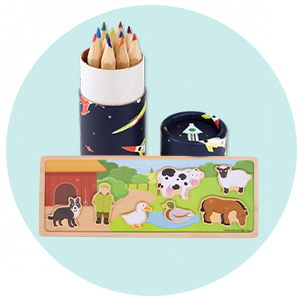 They focus on art first, using artists and illustrators to design their beautiful educational toys and jigsaw puzzles. The result is stunning high-quality games and art and craft kits. Their kids' jigsaw puzzles are works of art, and the quality of the pieces makes them perfect for younger children to play with. From musical instruments to jumbo puzzles, children of all ages will love to play. 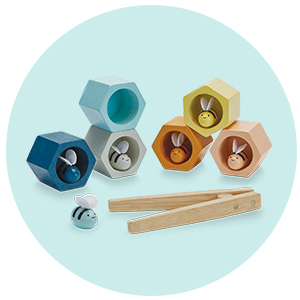 Some of the favourites here are Topanifarm (colourful stacking blocks) and the amazing range of Arty toys collection. From fairies to pirates and superheroes the Arty Toy range has something for everyone and will fire your children's imagination, all at a very reasonable price. What they are most known for is their art kits and their craft sets. 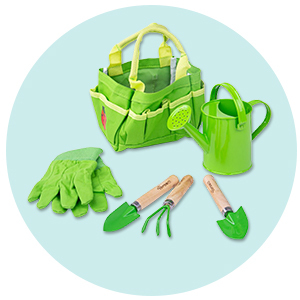 From the simple play dough for younger children to much more complex kits and stamps for older children, they do it all, beautifully. Puzzled about puzzles? Can’t find the right jigsaw puzzle for your toddler? Finding the right jigsaws and puzzles for your pre-schooler can be hard! 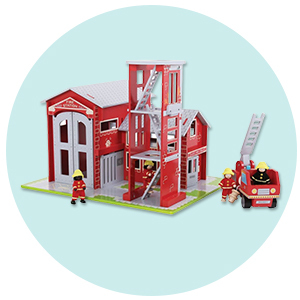 There isn’t a huge range available for little people under the age of 3 but our Djeco range really shines through with this gap & also brings you puzzles to take you way past that age! This is a really lovely set to sit and do with your little person and to leave them to learn themselves as they get older. It is packaged well and the box is strong, this is important as we have had a fair few puzzles whose boxes have fallen apart and when they get stored in ziplock bags they are harder for little hands to access alone. The pieces are made from a strong hard to bend cardboard and they are also laminated with soft smooth edges. The puzzle is self-correcting but not in too obvious a way that kids don’t bother looking at the pieces. The wrong number can’t be paired up with the wrong set of animals due to where the jigsaw joins. We have owned self-correcting puzzles before and my eldest used to just match the random shapes of the 2 pieces rather than match the sets. The pictures are clear and not totally ridiculous - the lions look like lions, the bears look like bears etc. There is a whole range of puzzles in Puzzle Duo set so this is a great one that you could add too and your little one will be familiar with how to work it. A great buy from ages 2 and up. This Jigsaw Puzzle looks fab to start with. The box is large and each one is individually shaped to the jigsaw, (the Cow jigsaw is shaped like a Cow for example). The front of this awesome jigsaw range is a little confusing, the picture on the front isn’t the picture that you actually make. The actual picture is found on the back of the box and it is much more amazing than the single image that is on the front of the box. It is a whole timeline and tells the story of when Sleeping Beauty was born & surrounded by good fairies. These are really beautiful jigsaws and each of the 24 pieces is strong and guaranteed to last for years, even with rough play. The frame is a strong wooden box that the puzzle pieces slot into. The last layer isn’t removable and everything gets layered on top. They are very well thought out Layered Puzzle and pretty cute too. The pieces are all wooden so they will withstand rough play for years. This is a lovely puzzle to sit down and work through with your little one and I’d say would be ok from 18 months and up. 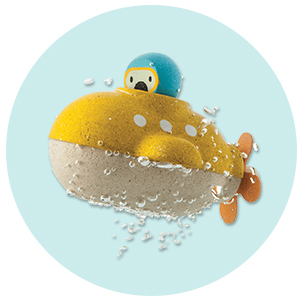 These are a top seller at Baba Me and probably one of the top Djeco toys! This is a funky and unique take on the traditional stacking blocks. Each block has its own inhabitant or creature that lives in it. 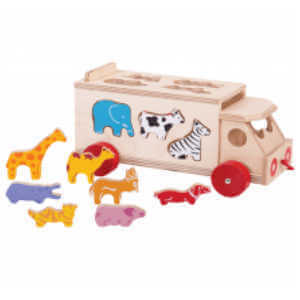 The animals are made from a soft but strong plastic and the boxes are made from incredibly strong and durable cardboard with a gloss coating. 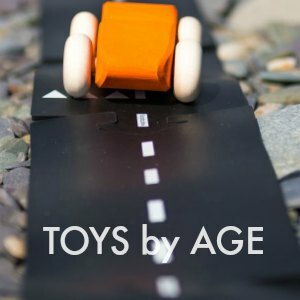 They will last even though they are cardboard and not traditional wooden toys. They can be stacked tall with all the animals put in or they can be stacked in piles with blocks a few high and you can create a village! Young children will love knocking these over and as they aren’t wood they are easier to lift and knock. Older children can make a little village with 3 blocks stacked 3 high and a single block inside another, for example. So this set of untraditional blocks is great for a whole variety of ages. One thing Djeco are fabulous at is card games which encourage cooperation, communication and families playing together. As a family, it's important to sit and play together and have fun! I think sometimes, in our busy lives, we can forget this so it's nice to have family playing cards to remind us.